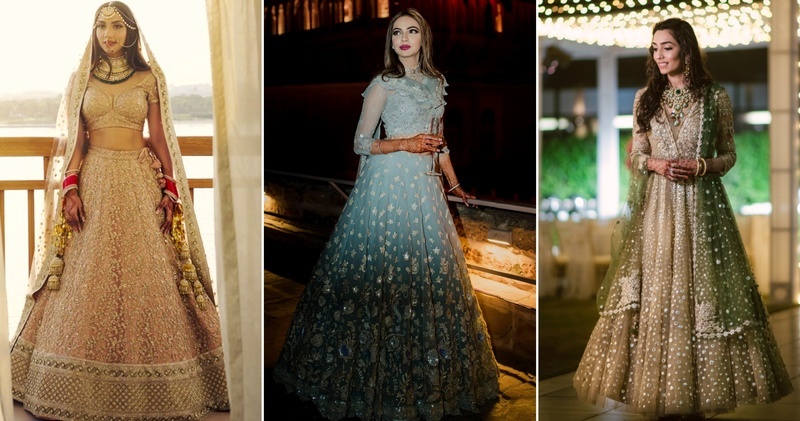 The Best Tarun Tahiliani & Manish Malhotra lehengas we spotted on real brides in 2017-18! Who doesn’t want to wear a designer lehenga on her D day?! We bet, no one! Scroll down to check out the most gorgeous real brides who wore the best of the best designers - Tarun Tahiliani & Manish Malhotra in 2017-18! 11. …..and this one is not a lehenga, but we couldn't help ourselves from including this Tarun Tahiliani design. This golden anarkali with a pop of green makes it a really stunning bridal wear option.